What is a Thermo-hydrometer? A Thermo-hydrometer is a tool used by wine makers to measure how much sugar there is in their mesh. In order for the yest to convert sugar into ethel alcohol you will have to make sure there is enough sugar in the mesh to produce the ethel alcohol. If you don't add enough sugar when you start your wine it will not make your wine as strong as it should be. If you add to much sugar it will make your wine to sweet and that isn't good. You cant really follow a recipe without the thermo-hydrometer because when you start off with fruit and turn that into a juice there will be natural sugars in the juice. Sometimes there isn't very much natural sugar at all. As the mesh fermits and the yeast consumes the sugar and makes the ethel alcohol the yeast starts to be killed off by the alcohol. Wine only gets to 14-18% by this time all the yeast is dead and fermentation is finished. This is the reason you have to have the right amount of sugar. How dose the hydrometer work? The easiest way that I know to describe this is the word buoyancy. The same way that people float easier in the ocean because of the salt water, the hydrometer floats in the sugar solution. 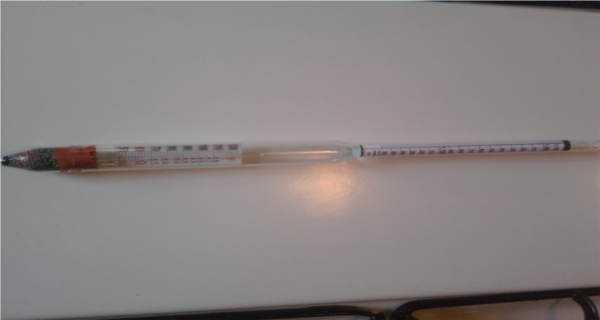 In order for you to test your mesh with the hydrometer you will need a test tube that is bigger than the hydrometer. Do not add any sugar to your mesh yet. Once your mesh is in your test tube lower your hydrometer into the test tube. It is important that the test tube is filled to the brim where it domes at the top of the test tube after you put the hydrometer in it. 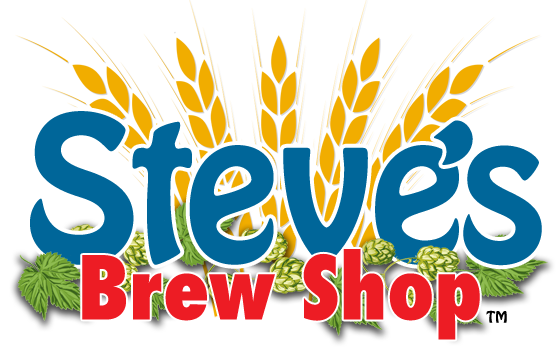 The hydrometer has a Specific gravity scale one side of it. That is the only scale we care about right now. Depending on how much sugar is in your mesh pour the test tube back with the rest of your mesh. The number I use on most my wines is 1.090 Specific gravity or the same as 12% Abv or 24 proof. So just add some sugar to your mesh and stir until the sugar has desolved and test it again. repeat this until you get to 1.090 or higher if thats what you want. If you have any more questions feel free to email me at the link at the bottem of this page.